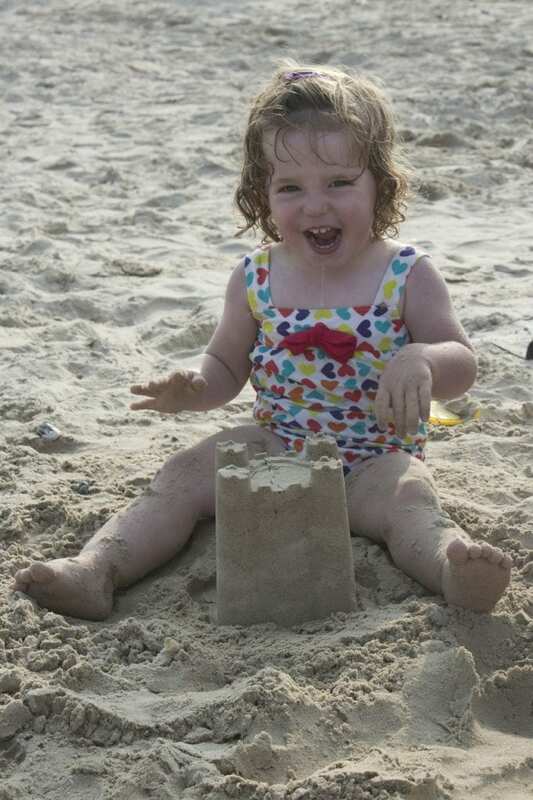 Looking for fun things you can do this summer with your little one? Having a baby is a wonderful experience, but until they reach the toddler stage it feels like there can be very little you can actually do together. 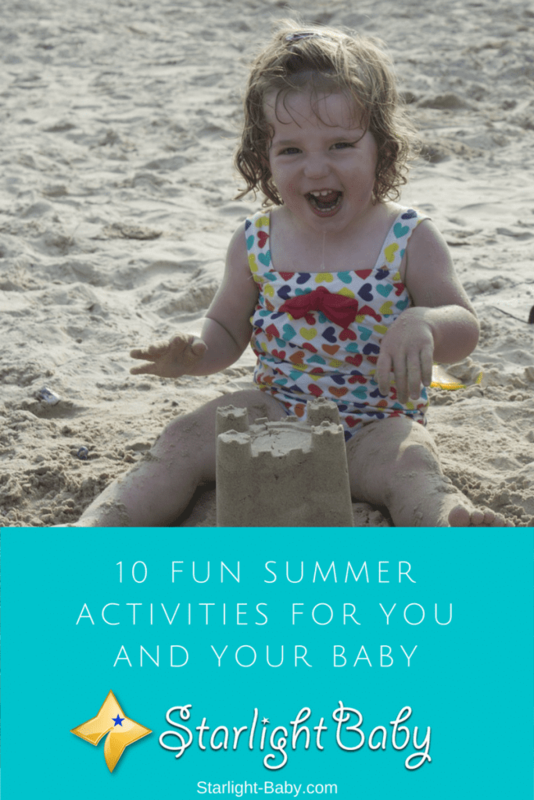 If you’re desperate to get out and enjoy the sun this summer, but you’re racking your brains for inspiration, below you’ll discover 10 fun summer activities for you and your baby. It’s simple, but it’s fun! Babies tend to love an outing in their stroller. There’s plenty to see, along with lots of different noises to keep them entertained. Why not treat yourself and head somewhere you’ve never been? Going on the same walks can get a little tedious so get in the car and head somewhere new. A nature walk is a particularly great idea. In the summer months you’re going to see a variety of flowers and if you’re lucky plenty of wildlife too. The best thing about going out for a stroll? It’s completely free! So if you’re on a budget, this is one of the best fun activities you can do with your baby this summer. Your local pool is bound to host baby swimming sessions. If your little one is at least six months old, they’ll enjoy getting in the water for a little dip. If it’s their first time, don’t be surprised if they’re a little startled in the beginning. Start off with gentle movements, such as swaying and bobbing gently in the water. Once they’ve got used to the feel and motion of the water you’ll notice they will start to splash and have a lot more fun. An added benefit of baby swimming sessions is you get to meet other new parents and babies. Being a new parent can be isolating, especially if you’ve had to give up work. You’re suddenly left alone with the baby with no stimulating adult conversations. So any activities which enable you to be around other adults is likely to be a welcome distraction! The one thing babies love to do is feel. You’ll notice your child is constantly trying to grab everything in sight (and most likely trying to put it in their mouth!). They enjoy discovering new textures such as fabrics, solid blocks and crinkled paper. Sensory play lets your baby have fun with their natural curiosity, while at the same time teaching them important skills. Make the most of the gorgeous summer weather and take sensory play sessions outdoors. Place a blanket on the ground and fill a basket with all kinds of different items such as squishy balls, soft feathers, silk and flannels. Watching their little face light up as they discover the new objects is an amazing experience. You could also take advantage of the concentration they have for these new objects and read a book (while obviously continuing to monitor the play session). Many parents feel it would be a waste of time taking their baby to the zoo. After all, surely they aren’t going to know what’s happening or stay awake long enough to enjoy it? The truth is, babies love the zoo! They are fascinated by everything around them so seeing all of the different animals is going to be a real treat. If there isn’t a zoo nearby, a pet store would make an equally good day out. You’ll find it isn’t just the animals that peak your baby’s interest. They’ll also be drawn to all of the different people around. Know any other new parents who might like to get out? A park date is an excellent opportunity to catch up and have fun with your babies. They will get to enjoy both the rides and the chance to play, or just babble, with other children. It’s also great for your social life which let’s face it, can take a huge hit when you’ve got a baby. If you’re looking for an activity that you can enjoy week after week, then starting a baby playgroup is an excellent idea. If you don’t know any other new parents, why not place an ad in a local store? If you do take this option, obviously you’ll need to make sure you follow strict safety precautions. Meeting up with a group of new parents and their babies once a week would be a treat for you and your child. You could host activity days where you try something new each week. If your baby is at least one-year-old, taking them out for ice cream is a great summer activity. Everyone loves ice cream and it can be a great way to cool down in the hot summer weather. Does the thought of heading to a museum with a baby drive fear into your soul? It might seem crazy to take your potentially loud baby into a quiet museum, but you might be surprised just how child-friendly some museums are. Some even feature infant and toddler exhibitions and interactive displays. Of course, it’s great for you too as it allows you to enjoy a little culture and learn something new at the same time. Pack up a bag full of arts and crafts materials and head out in the sun. Your baby will love helping you create things, especially if it involves paint, ribbons and any type of child-friendly goo! This activity can give you and baby hours of entertainment. Parenthood is a wonderful thing, but sometimes we can get tired of doing the same old things each day. Do not force yourself to stay inside during these warm summer months – venture out and enjoy the great outdoors. There are lots of exciting summer activities for babies that you can take part in, and looking back, it may just be these little things that make up your most cherished memories. Just remember, when heading outdoors with your infant, it’s vital to keep them protected from the sun. Always remember to carry baby-friendly sun lotion and top it up regularly. Parents – we know the list isn’t complete here. We’d love it if you’d share what summer activities you and your baby enjoy doing so we can try them out ourselves! I felt bad that mom and dad never thought it necessary to take me to the zoo while I was a kid and in as much as I couldn’t coerce them to do so as a kid then, I always had that desire to visit the zoo and see these animals I always watch on TV. I hope parents won’t make the mistake my parents did and always go to the zoo alongside their babies and toddlers for it is a great way to learn new things about life and nature. Winter is almost gone and summer will begin soon. When summer arrives, my baby will be almost one year old. I am thinking a couple of things to make summer fun for my baby. For instance, I will be buying a kiddie pool. My baby loves playing in the water and a kiddie pool will be a nice thing for him. My baby loves animal and a visit to a zoo will be a nice treat to him.